Finished Design Size: 10.5 " x 16.5 "
Charming pair of Russian folk figures in wedding garb. 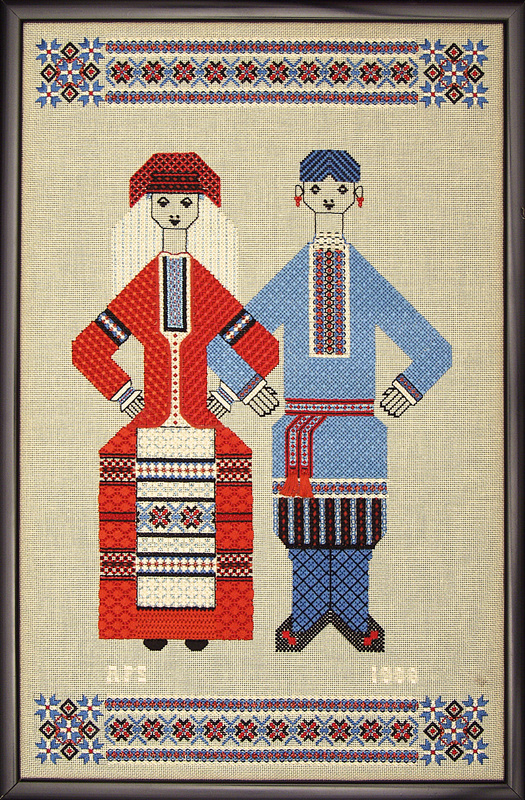 The couple was adapted from a piece of wood inlay folk art, and the border patterning was inspired by the embroidery on several Ukrainian blouses. Many interesting composite patterns are used in the costumes, but the fillings are fully charted and easy to compensate. Stretcher frame: 14" x 21"